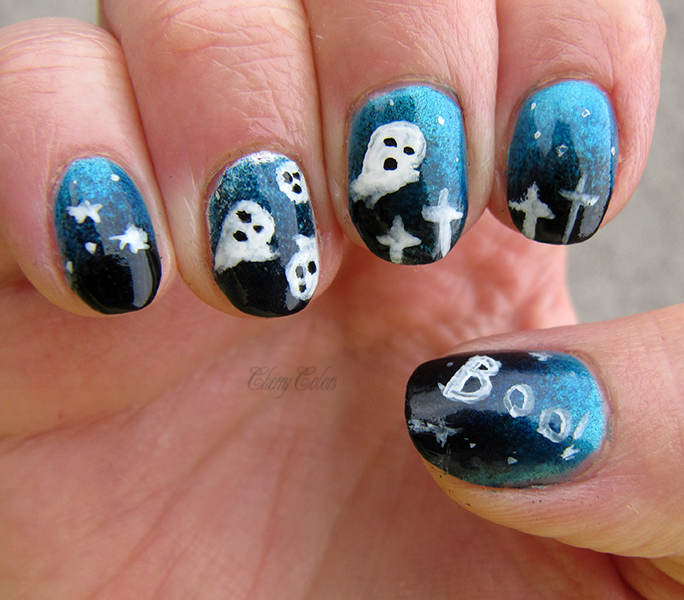 Halloween Boo-tastic manicure! - Cherry Colors - Cosmetics Heaven! 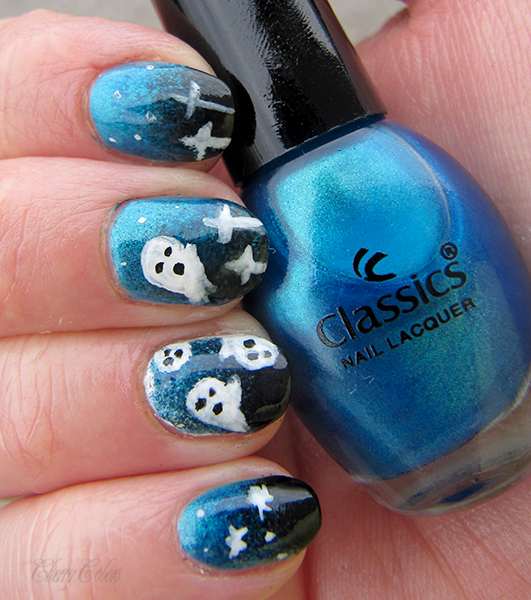 Today I have another Halloween inspired manicure. And what other that Ghosts would be appropriate? A couple of days ago we could see some Pumpkins pkins (made with a toothpick) and today, I finally got to my brush! This time, I decided to give a first try to my Golden Rose nail polish in 140. And I'm impressed! Why? 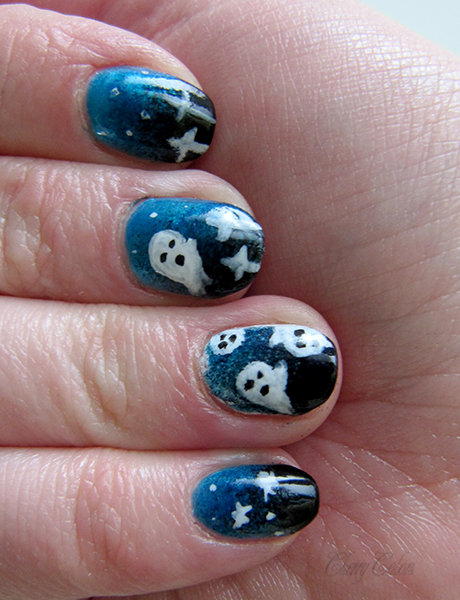 It applies like a dream, needs one coat for full opacity and dries quickly. Oh, where have you been all my life?! Read more for more info and pictures (cutee)! I did my nails in a funny way - first I covered 4 fingers in the GR polish and one (ring) in the Essence White Wild Ways polish (white). After that I picked my makeup sponge, took the Wet N'Wild Black polish and Stargazer in 105, you can check it out here - I did a manicure a while a go with it. And last I took my acrylic paints (just black and white) and a thin brush I got from Ebay (pack of 5, ultra thin nail art brushes). 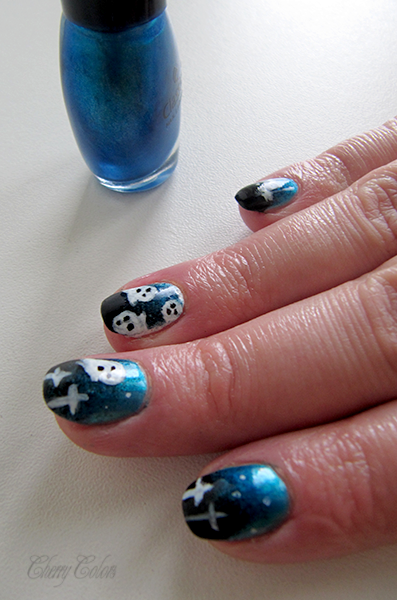 And lastly I covered everything with my beloved Essence Gel like pumping top coat - I wrote a review about it, here. I couldn't leave the thumb alone, I had to write something on it, so BOO! it is ;). Are you celebrating this Halloween?